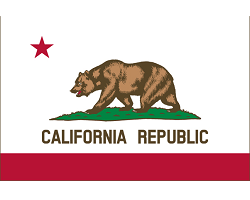 After a long hard fought battle, the state of California has passed network neutrality laws. The move defies federal regulators. It’s been a long road, but digital rights advocates are cheering their latest success in defending network neutrality. In spite of political wrangling and a fierce lobbying campaign, the state officially passed laws protecting network neutrality in the state. Last year, the Federal Communication Commission voted along party lines to scrap network neutrality in a 3-2 vote. The move is hugely controversial to this day as even those who were suspicious about such laws in the first place found themselves fighting tooth and nail to keep those regulations in place. The network neutrality laws banned the practices of throttling, blocking, and fast lanes. While the laws did have exceptions, they largely helped keep the Internet clear of what some consider unfair practices. With the laws repealed, ISPs are free to engage in such practices to help their own line of products at the expense of competition. Many ISPs promised that they would not engage in these practices, but there have since been reports of ISPs breaking the principles of network neutrality. An example being introducing fast lanes. Of course, with the future of the Internet on the line, many advocates worked tirelessly before and after the vote to try and re-instate the laws. This includes pressuring lawmakers to invoke the Congressional Review Act in an effort to overturn the laws. Critics of such a plan point out that such a concept faces an uphill battle because the party that repealed the laws control all three branches of government. Of course, this is far from the only plan to try and fight for the future of the Internet. In the state of California, there has been a very public battle to introduce network neutrality laws. The story is complete with accusations of lawmakers bending to lobbyists, outrage, and all the usual rollercoaster of emotions from beginning to end. In fact, in the lead up to the final passage, Verizon was accused of throttling local firefighters, impeding their ability to get critical information out to residents affected by the worst wildfire season in California history. It’s unlikely the ISP won any new friends in that story. Of course, while there is a political side to the story, there is also the very interesting legal side as well. While repealing network neutrality last year, the FCC included provisions that explicitly banned various states from implementing such laws in the first place. So this passage of network neutrality laws puts into question of what happens when a state defies a federal regulator and passes certain laws anyway. Plenty of observers say that we are really entering into unknown legal territory for the most part. Where things go to from here remains to be seen. There are still plenty of moving parts in this story. This includes several other states currently debating whether or not they should invoke network neutrality laws in their state as well. We’re also unsure how the regulators are going to react to this latest story. Will the midterm election have an impact in this debate? How will ISPs react in the state? While there is plenty that can still happen, this is still a major victory for digital rights advocates. It will no doubt only further embolden them to continue their fight to save the Internet in America.